Anatoli Ivanishin is a retired pilot in the Russian Air Force and a Test Cosmonaut with one prior long-duration flight to the International Space Station as part of Expedition 29 and 30 in 2011/12. He will make his second flight in 2016 for a half-year stay in orbit during ISS Expeditions 48/49 and the debut mission of the improved Soyuz MS spacecraft. Ivanishin, born January 15, 1969 in Irkutsk, Russia, attended secondary school in Irkutsk from which he graduated in 1986. He then entered Chernigov Higher Military Pilot School, graduating in 1991 with a gold medal, transitioning to service within the combat air force units where he flew the MiG-29 aircraft. Starting in 1992, Ivanishin served as master fighter pilot in regiment 159 where he operated the Su-27 aircraft. Anatoli Ivanishin first applied to become a Cosmonaut in 1997, but was rejected due to his height. Instead, he completed a course at Moscow State University of Economics, Statistics and Information Science from which he graduated in 2003. By 2003, the Soyuz spacecraft had transitioned to the TMA version, replacing the TM variant and introducing a seating improvement, allowing the maximum user height to be increased from 183 to 191 centimeters. 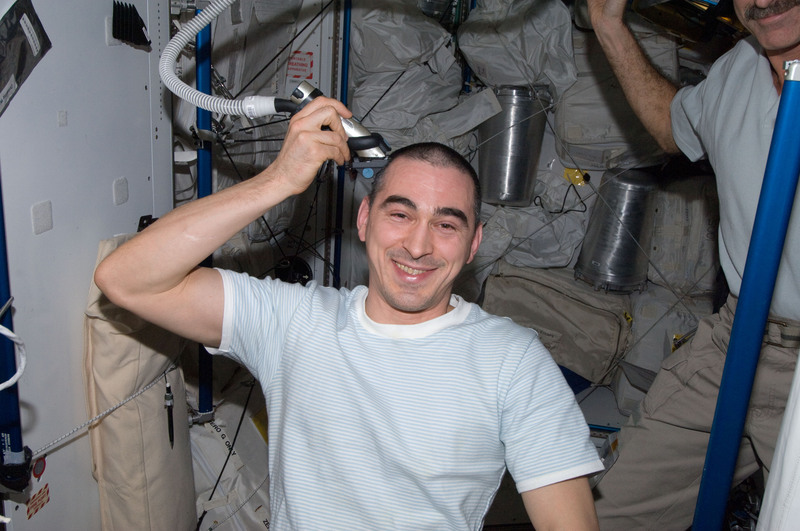 Ivanishin was selected as a Cosmonaut Candidate in May 2003, entering two years of basic training and evaluations. He was awarded the rank of Test Cosmonaut in July 2005 with excellent grades, according to decision by the Interdepartmental Commission. Concluding basing training, Ivanishin entered generic training for flight operations on the Soyuz and ISS space vehicles. In July 2009, Anatoli Ivanishin was assigned to the backup crew of ISS Expedition 26/27. He completed specialized training related to the Mini Research Module 2 in October 2009 at the Baikonur Cosmodrome when the module was in its final launch processing flow. Early in 2010, he transitioned to the Exp. 29/30 backup crew together with Anton Shkaplerov and Dan Burbank. The trio participated in a two-day survival training session in the woods outside Moscow in January 2010 to prepare for the unlikely event of a winter landing in a wooded area. Per the Interdepartmental Commission, Ivanishin was transferred to the Cosmonaut Detachment of the Gagarin Cosmonaut training Center. Later in 2010, Ivanishin was placed in the backup crew of the Soyuz TMA-20 mission for ISS Expedition 28/29. He completed training with crew mates Mike Fossum and Satoshi Furukawa and passed Soyuz and ISS examinations in November. The backup crew attended the launch campaign for Soyuz TMA-20 at the Baikonur Cosmodrome in December and was officially cleared for flight with Ivanishin serving as commander, though no backup crew member was required for the flight. In March 2011, Ivanishin, Burbank and Shkaplerov passed Soyuz TMA and ISS examinations as part of a backup crew assignment for Soyuz TMA-21. The crew was at the Baikonur Cosmodrome for the launch of TMA-21 and Ivanishin acted as backup Flight Engineer. 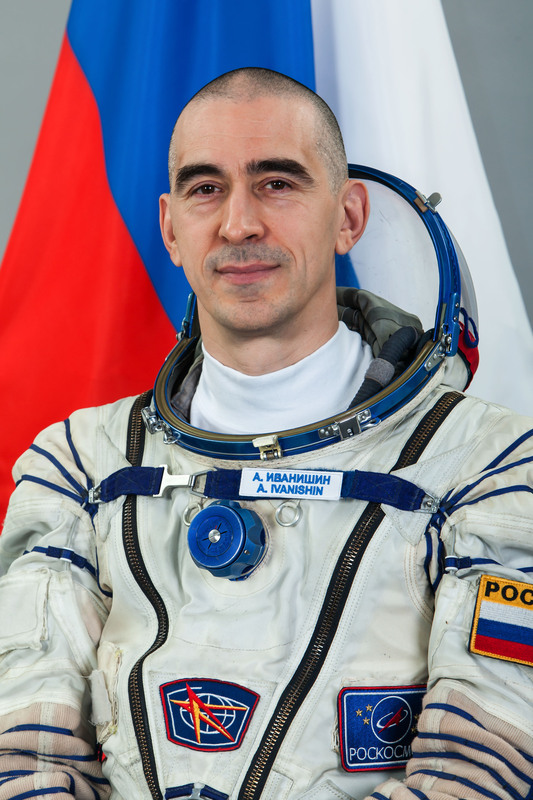 Anatoli Ivanishin received his prime crew assignment when he was appointed to the crew of Soyuz TMA-22, being cleared by doctors in August 2011 and completing final training exams in September with Shkaplerov and Burbank. Due to an earlier failure of the trusted Soyuz rocket when launching a Progress cargo craft, the next crew’s liftoff date was pushed by two months. 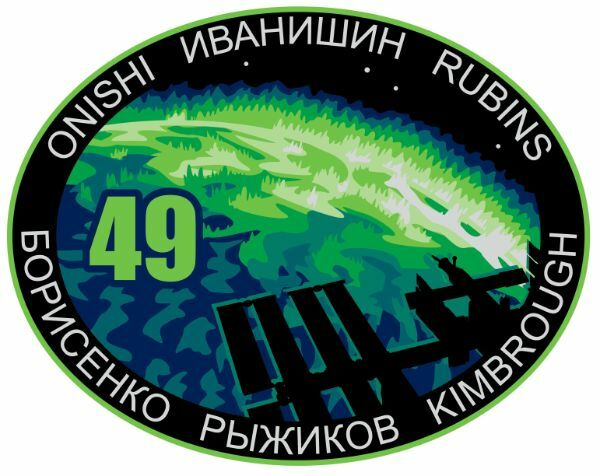 The trio finally launched atop a Soyuz FG rocket on November 14, 2011, entering orbit nine minutes after liftoff and completing a two-day journey to the Space Station with a nominal docking on November 16. 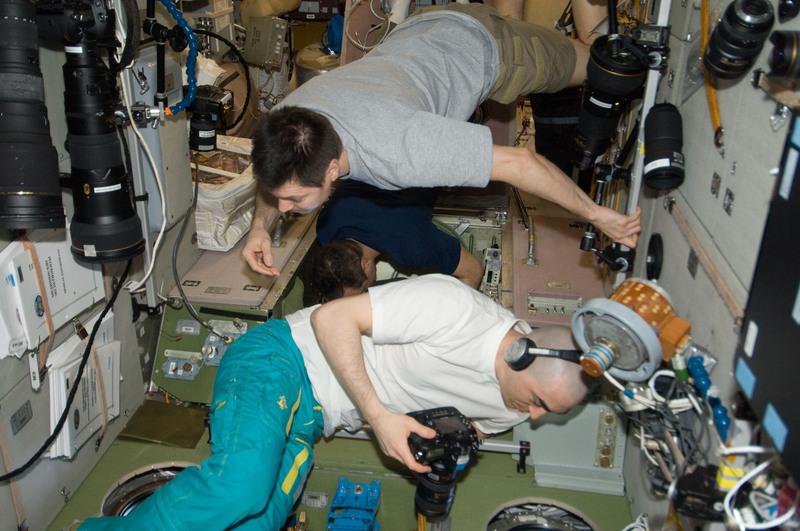 Arriving on ISS, the crew was greeted by the resident crew of Mike Fossum, Satoshi Furuwaka and Sergei Volkov. The combined crew only had one week of handover time due to the delayed launch of Soyuz TMA-22 before Soyuz TMA-02M departed the Station and left the new crew alone on ISS for a period of four weeks due to the shaken Soyuz schedule. 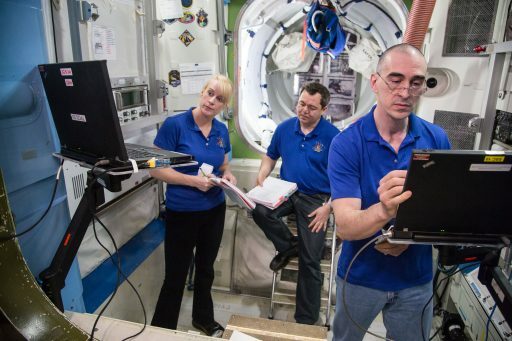 Pressing into Expedition 30, the three crew members had all hands full keeping up with ISS maintenance and science missions with the Station only staffed by three crew members. The second half of the Expedition 30 crew, Oleg Kononenko, Andre Kuipers and Don Pettit, arrived aboard ISS on December 23 after a two-day commute aboard their Soyuz. The holidays gave the crew a few quiet days during which the new crew members were brought up to speed to hit the ground running in 2012, and they were also treated to a unique view as comet Lovejoy presented a spectacular sight from the vantage point of ISS. 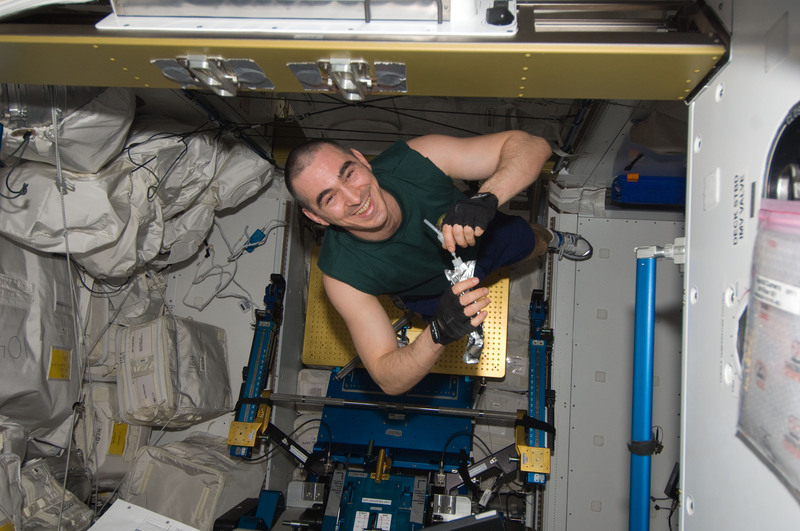 Entering the new year, the crew supported over 150 studies ongoing aboard the orbiting laboratory while also conducting regular maintenance to keep ISS in good shape. Oleg Kononenko and Anton Shkaplerov completed an EVA in February, moving a large external cargo boom. On March 23, the Edoardo Amaldi Automated Transfer Vehicle was launched atop an Ariane 5 rocket blasting off from French Guiana, loaded with over six and a half metric tons of cargo headed to the Station. ATV-3 docked five days later and marked the start of a long cargo transfer operation. On April 19, the Progress M-14M spacecraft departed ISS to make room room for the M-15M vehicle that was launched just one day later and took two days to link up with ISS to make its delivery of nearly 2.5 metric tons of supplies. ISS Expedition 30 was expected to end in mid-March but was extended by six weeks due to problems with the Soyuz TMA-04M spacecraft that suffered a failure of its pressure vessel during leak checks and had to be replaced by the Soyuz that was next in line, leading to a launch delay of several weeks. To avoid ISS dropping down to a crew of three for too long, Soyuz TMA-02M was kept in space until April 27 when Burbank, Ivanishin and Shkaplerov departed the Space Station, making a safe landing after 165 days, 7 hours and 31 minutes in orbit. Arriving back on Earth, Ivanishin went through the normal physical rehabilitation as well as post-flight science experiments lasting for about a year after his return. 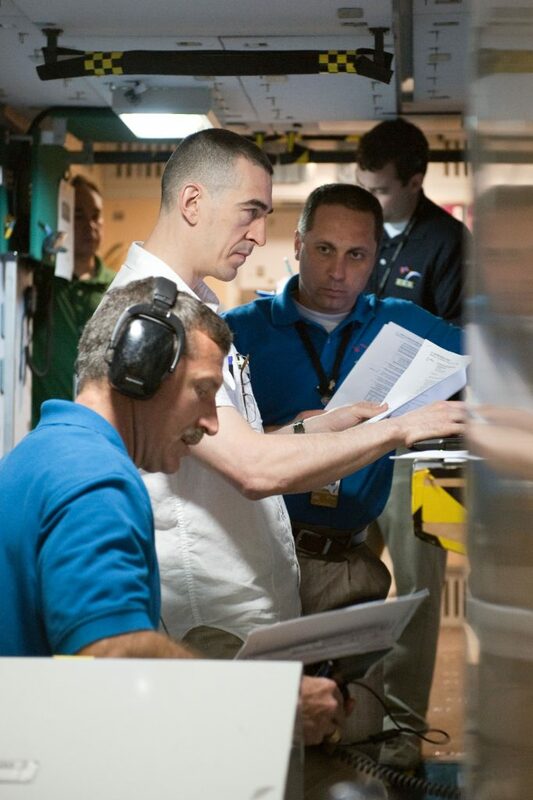 He then re-entered training operations as part of Soyuz and ISS mission operations. 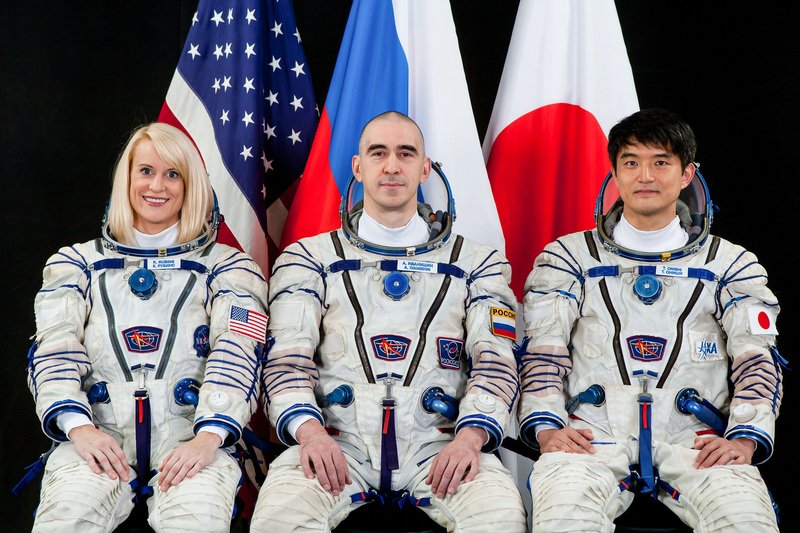 In December 2014, Ivanishin was confirmed as backup crew member of the Expedition 46/47 crew and a prime crew member for 48/49 in 2016 together with NASA’s Kate Rubins and JAXA’s Takuya Onishi, both spaceflight rookies. In February 2015, the crew completed winter survival training and they spent time at each of the Station’s partner agencies to get familiarized with the various systems of ISS and operational protocols. In November, the crew completed integrated training of Soyuz and ISS operations in Star City, passing final exams as part of their backup crew assignment for Soyuz TMA-19M which launched in December 2015. Due to scheduling issues, Commander Ivanishin and his Flight Engineers had to switch from Soyuz TMA-20M to the Soyuz MS-01 spacecraft. Originally, the plan was to fly Soyuz MS before Soyuz TMA-20M to have another mission of the flight-proven TMA-M series in case deficiencies were uncovered during the first MS mission. However, there also was a requirement of flying two Progress MS missions prior to the introduction of the new systems on the crewed spacecraft. Because of scheduling issues with Progress, it was decided to switch TMA-20M and MS, having Aleksey Ovchinin, Oleg Skripochka and Jeff Williams fly the last TMA-M Soyuz and making Ivanishin the first Soyuz MS commander. 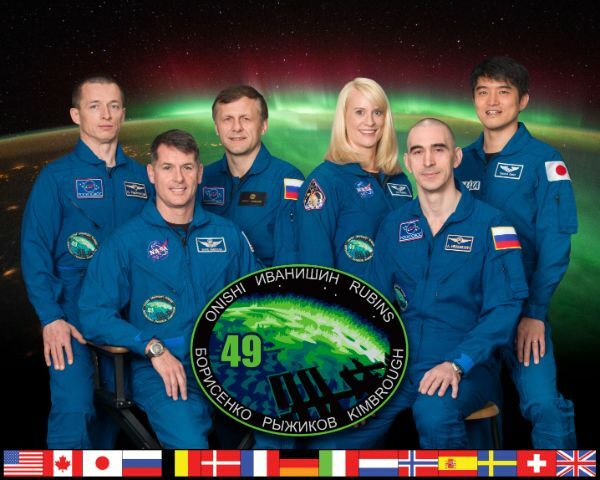 As part of his stay on ISS, Anatoli Ivanishin will serve as a Flight Engineer during Expedition 48 before tanking command of ISS for Expedition 49.